Preparing for Change East of Troost | whitespace. Unfortunately, too many Kansas Citians know what is meant by “East of Troost”. This line of inequity is among our greatest challenges, and possibly our greatest shame. After decades of decline and decay, things are changing. The clear line dividing race and socioeconomics is blurring at an increasing rate. More people are choosing to stay or move into neighborhoods east of Troost. Many residents and organizations deserve credit for this. In addition, our city government has prioritized reinvestment along Troost for many years. Recently, however, two significant trends are creating a tipping point. The first is the renewed interest in city living, particularly for Millennials, and the second, which is more unique to Kansas City, is the rapidly increasing access to a high-quality public education in the city center. Kansas City, like other U.S. cities our size, offers a high quality of life with relatively low property costs. Reinvestment in areas like Downtown, the Crossroads and Union Hill – plus focused business and civic leadership – are making KC attractive to young talent. With a new generation seeking the walkable lifestyle offered by urban neighborhoods, there is a substantial amount of potential value in the residential properties east of Troost, particularly for the Millennials whose opportunities and resources for home ownership are substantially less than previous generations. Now, consider the quickly changing landscape of public education in Kansas City. The “Show Me KC Schools” website is making school performance transparent by publishing information online so families can find and better understand the range of good school options that are available. The website highlights the long established success of Kansas City district schools, like Lincoln College Preparatory Academy and Foreign Language Academy, plus the recent success of the Hale Cook neighborhood school model. Charter schools within the Kansas City Public School district are growing, with examples ranging from the well-established Académie Lafayette, to the emerging success of the Crossroads Academy of Kansas City, to the promise of the new Citizens of the World Charter School and Urban Neighborhood Initiative Kansas City Neighborhood Academy. The increasing willingness for partnerships between Kansas City Public Schools and charter schools is powerful, reinforced by philanthropic institutions that are beginning to recognize that investment in public education is a key to solving inner city issues. 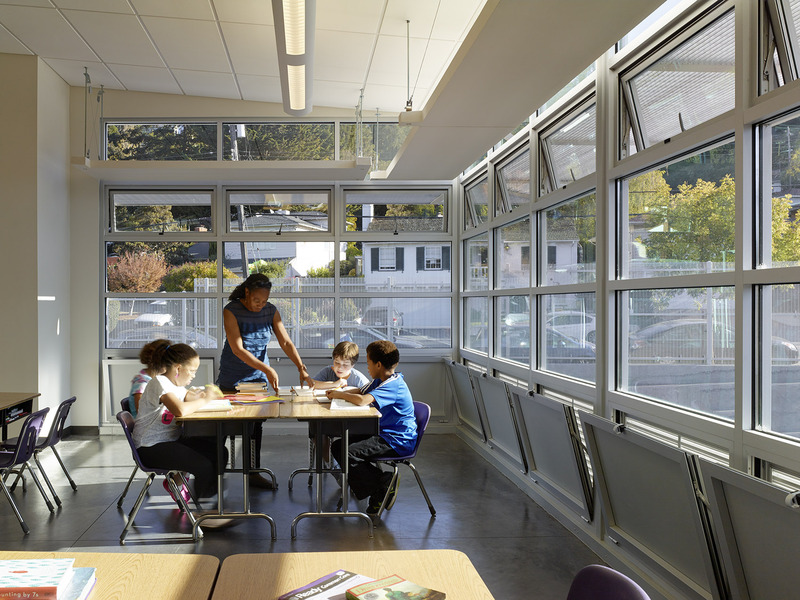 The increase in the availability of good schools echoes an increase in the willingness to invest in public education, which is key to solving inner-city issues (Image credit: Gould Evans). Reliable access to good public schools has not been available in the central city in years. For decades, families have fled to the public districts of suburban communities. Now, however, with the increase in availability of strong public schools in the central city, combined with access to affordable property in the current urban neighborhoods east of Troost, the local real estate market is changing. So what does this mean for city planners? Many cities have struggled for years to revitalize inner-city neighborhoods, only to realize after they’ve succeeded that they now face challenges maintaining affordable housing. As areas redevelop, property values increase and the challenge of maintaining affordability becomes exponentially more difficult, if not impossible to overcome. When areas redevelop, some residents are not able to afford the higher rents, the increased expectations for maintenance and upkeep, and the increased taxes that come with growing property values. However, there are successful programs that can maintain affordable housing and allow current residents to stay in their homes by providing access to capital, deferring taxes or leveraging future value. Implementing these programs will never be easier than now, while property values are depressed. It will become much harder when property values increase. We can also revise our codes to allow development patterns that support more affordable housing models. Most of our inner and mid-city neighborhoods from Hyde Park to Brookside were designed to allow multi-unit buildings to coexist with single family housing. A diversity of housing types – carriage houses, small apartment buildings and town homes – can accommodate a diversity of income levels and provide opportunities for the life-cycle neighborhoods that provide stability and affordability. These were once prevalent throughout our city. Unfortunately, current development policies restrict rather than promote mixed-density neighborhoods. 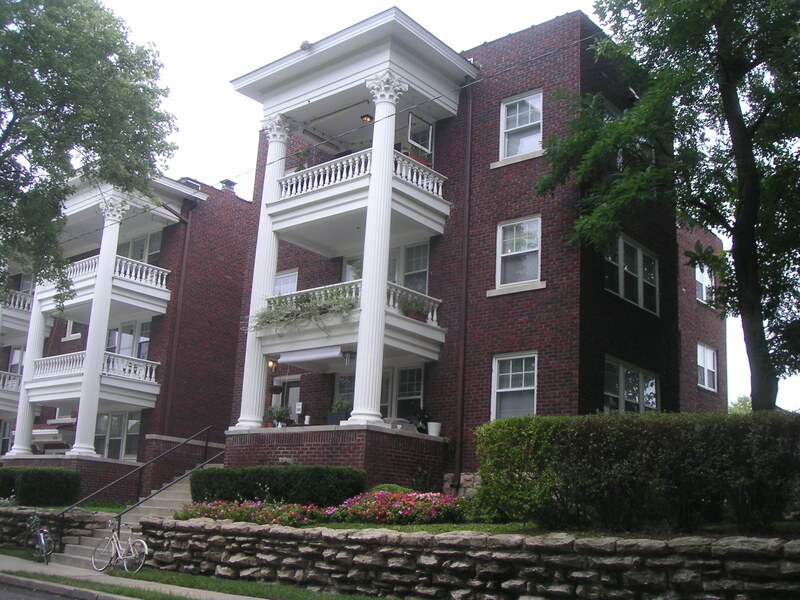 Most of Kansas City’s mid-city, urban neighborhood were designed to allow multi-unit buildings to co-exist with single family house (Image credit: Gould Evans). A “Plan to Build Value” is not just an economic strategy for planning the future of our cities. There are also social values to consider when we make choices about how to best invest our public resources and dollars. Let’s plan for the change we can see coming and build a more socially, economically and demographically diverse Kansas City. Changing the way people view early education is part and parcel of the Trust for Learning’s mission.